Pastry chef Johanna Killeen makes "baby cakes"?miniatures made from a basic batter but varied with different flavoring ingredients. 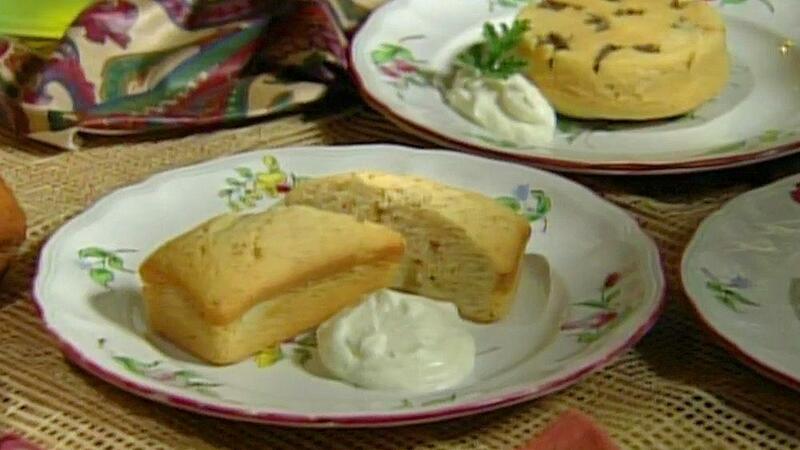 In one, she uses hazelnut flour and tops the cake with a dollop of Italian cream cheese flavored with grapa. She then makes upside-down cakes, using a rhubarb and caramel topping on one and rose geranium leaves on another.